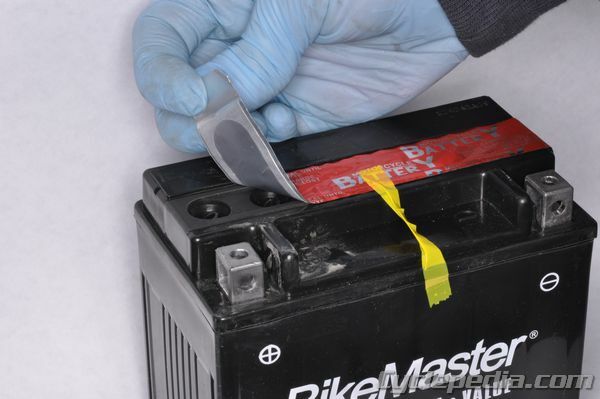 The battery should be outside of the vehicle for preparation. 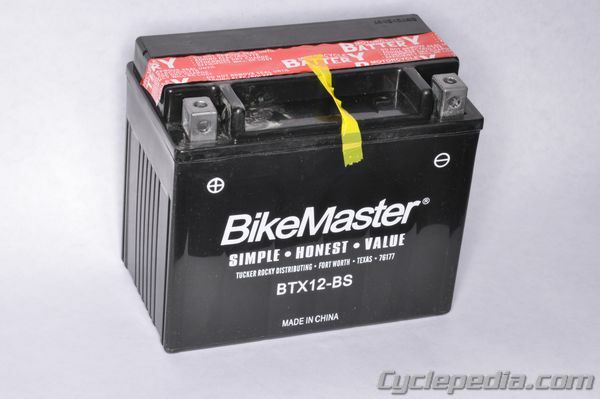 Place the battery on a level surface. Remove the sealing sheet or filling port caps. Do not puncture or remove the seals from the electrolyte fillers. Fit the electrolyte fillers straight down into the filler ports. 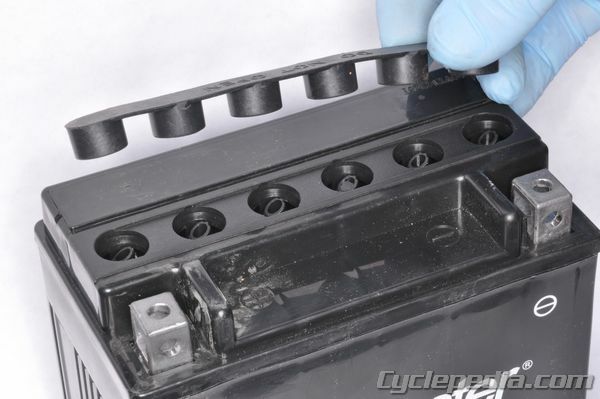 The pipes in the filer ports will puncture the filler seals and allow the electrolyte to flow into the battery. Do not angle the fillers while the electrolyte is filling. Make sure the electrolyte is flowing correctly from all fillers. Tap the top of the fillers to aid in electrolyte flow. Allow at least 20 min for the electrolyte to drain completely. Never remove the fillers until they are empty. 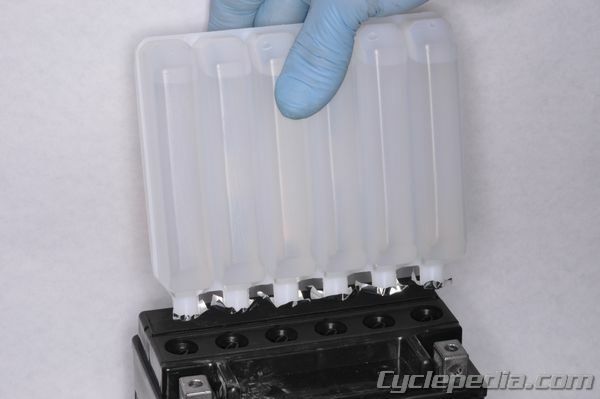 When the fillers are empty, slowly ease them straight up and out of the battery. Fit the filler port caps into place. Evenly press down on the caps to secure them. 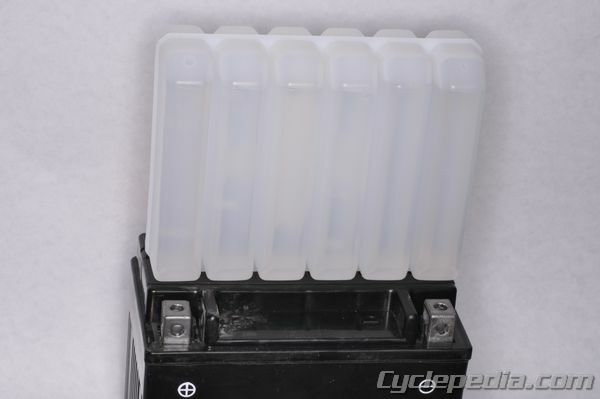 On this battery, the cap strip must fit evenly with the top of the battery. Once the caps are in place do not remove them for any reason. 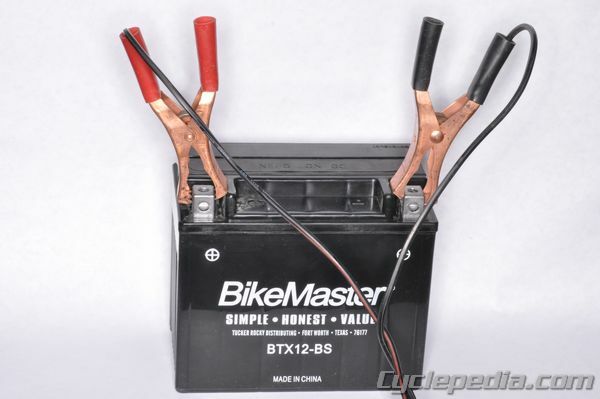 Charge the battery with a 12 volt 1 amp motorcycle battery charger at the specified rate. 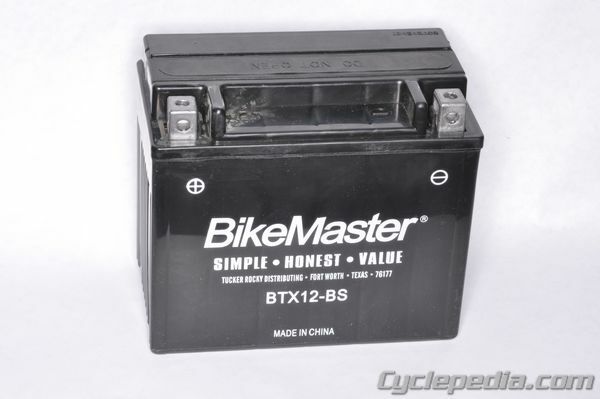 This battery is recommended to be charged for 12 hours before use.